i hope your week has gone EXTREMELY well so far... mine has... and its even better now because todays post is an ever so utterly exciting interview with Jenna from My Life As A Magazine blog !!! hooray ! 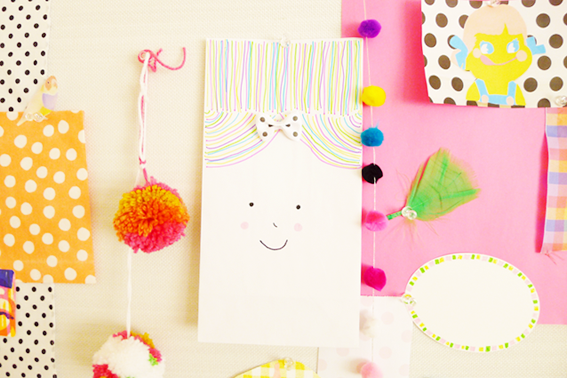 Hi Ella - thanks for having me on your fun, colourful and crafty blog ! Hello to all of Ella's lovely readers. 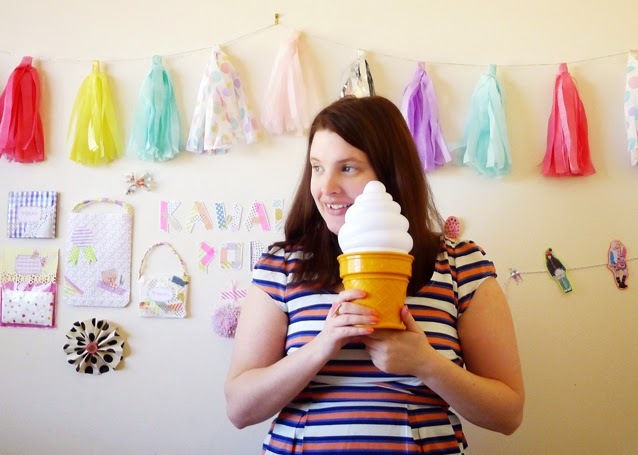 I’m Jenna, a freelance magazine writer, stylist and crafty maker. With a love of print media and design I have self-published four zines, 'My Life In Biscuits' an illustrated biscuit memoir, 'Little Book of Mt Masking Tape' that included crafty ideas and projects using my favourite craft tool Japanese washi tape, 'Japan in a Collection' a travel guide with a twist that reviews shops through mementos. 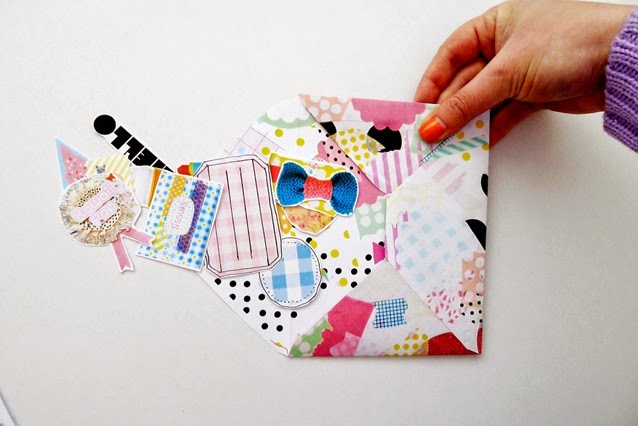 My latest publication is 'Happy Mail Days' - Dedicated to all thing mail art !! I write posts/features, do styling and photograph my own craft DIY shoots and creative adventures to post on my blog 'My Life As A Magazine' or for print publication. Most weekends are also spent packaging up my zines and writing to pen pals around the world. I like to make each purchase or letter special by gift wrapping them in pretty papers and decorating parcels in Japanese washi tape, polka dot stickers and self-made rubber stamps, with a handwritten note. This is how my love for mail art began. What inspired you to start blogging ?? Before the internet came along and blogging I would regularly write daily in a journal. So off course I loved blogging - it was a natural progression. I approach my blog like a personal magazine. It’s me, my life in a …. I should say ’blogazine’ form. It’s a collection of daily loves that focuses on my latest crafty projects, DIY’s, gift wrapping techniques, creative trend reporting, travel adventures, spotlight on zine or craft events and markets and my loves - stationery, mail art, magazines, books and Japan ! 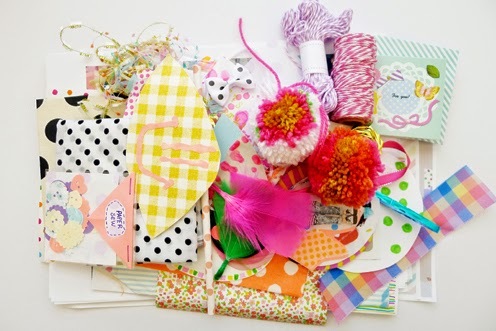 What is your style of crafting ?? All of my craft-based projects have a kawaii (meaning cute in Japanese pop element. I would say my creative style is fun, bright, colourful, and quirky. You are probably are most likely to see polka dots used in most of all my creations – such a happy pattern ! I love having paper crafternoon sessions in my mini home studio where I make collage notebooks, paper food inspired by Japanese cuisine and sweets, gift wrapping items such as bags, envelopes, embellishments, envelopes, stationery, mail art kits, and making or decorating anything and everything with washi tape ! After travelling to Japan a couple of years ago I was amazed and fell in love with their innovative craft, art and design culture which ignited a new creative view in me that influences a lot of my work. It could be a store front of a sweet bakery, craft store, their food packaging, a cuisine, fashion, a layout in one of their amazing magazines and books. In every piece of my work I like to bring an element of fun, quirky and cute with big splashes of colour. Bright colours and patterns, fun prints, travel adventures, mementos, store fronts, books and magazines, blogs, pretty product packaging, gift wrap, 80’s cartoons and toys, stationery, my inspiration board - a live version of pinterest and my huge pile of potential craft and collage materials - A project can come about just by experimenting with all my favourite crafting tools. Postcards !! I am completely obsessed !! I love finding really daggy and retro ones in ops shops ! It is also exciting when you discover a lovely handwritten note on the backs of them. 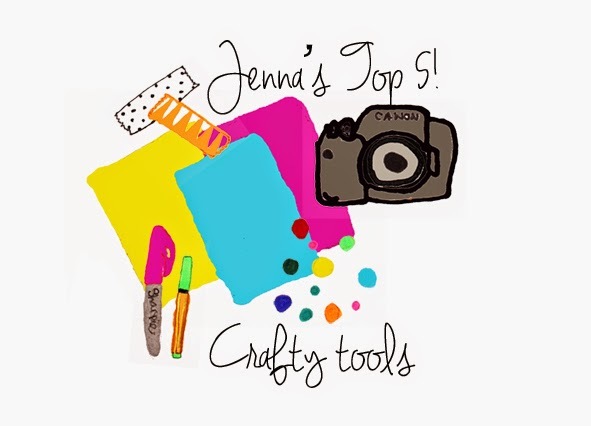 Top 5 crafting tools ?? 2. Washi tape - to decorate my snail mail and off course can be used in all craft projects! 3. Confetti - for an element of surprise! 4. Sharpie and Stabilo markers - used to draw cute illustrations, decorating mail and writing letters. Where can we find your work / blog etc ?